Rebuild Athens from the ashes of its destruction in Heroes of Hellas 3: Athens! 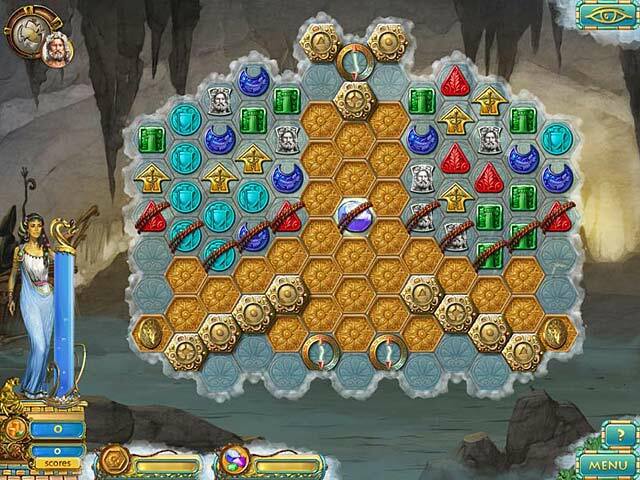 Secure the help of the Heroes of Olympus as you battle an evil god in this incredible Match 3 game. Gather gold, meet the needs of a ravaged population, and search for legendary lockets that will allow you to summon the gods and appeal to them for help. Dive into this epic story and save the day in Heroes of Hellas 3: Athens! Heroes of Hellas 3: Athens is rated 4.6 out of 5 by 69. Rated 5 out of 5 by Bumbles2 from Beautifully done again !!! This game is wonderfully done...and I'm glad I purchased it. The fun factor was definitely there. The music was intriguing and fit with the story...the graphics are impressive and very well done. I can't say enough good things about this 3rd release...so if the 4th one is any thing like this one I'll be having more sleepless nights...LOL I know if you play the demo...you'll know where I'm coming from...this game is impressive and very well put together !!! Have fun everyone !!! Rated 5 out of 5 by arnold1049 from KEEPS ME COMING BACK OVER AND OVER AGAIN I'm sure other reviewers have given a good description of how this game works so I won't repeat anything. I just want to say that I love this game. It has so many things to do and every grid is different. The complexity of the grids is amazing. At the start of some of them, there is only one match that you can make, and it creates a chain reaction that is beautiful to watch. I'm never bored and have to force myself to quit playing. All the games in this series are great. Rated 5 out of 5 by Olivia15 from Fun match three We need a new one soon. I love the match 3 with something to build and furnish. Rated 5 out of 5 by KDinMD43 from Wish there were more games like this one I have played all three of the Hellas games and they just keep getting better and better. I usually play in relaxed or untimed mode because I like relaxing, NOT scurrying around in a time management frenzy. My favorite part is that you get to pick the kind of building you want to build on your land and you can point to anyone of the people walking around and see their names. I also like the little mini games where you have to locate pieces of a device to put it together and then defeat the god. Ok, ok I LOVE EVERYTHING ABOUT THIS GAME. PLEASE, PLEASE MAKE MORE LIKE IT! Rated 5 out of 5 by SkyeGray from An Excellent Click and Drag Great Power-ups, over which you have some control, challenging later levels. I've had this game for a year or two and return to it once or twice a year. The only minus is, perhaps, exceptionally bad art. My guess is the art was done by a developer's niece/nephew/daughter - but it doesn't affect the game-play, which is smooth and predictable. A great game that requires little thought. Rated 5 out of 5 by Anno1313 from Excelent game for low money The game is worthy any penny. Lot of exciting levels to play and even when you think that level is over. Rated 5 out of 5 by tutortime from Bravo! Loved, loved this game. It really raised the bar for match 3 games. It was long, interesting story and had great graphics. Rated 5 out of 5 by elvygames from Fabulous Match 3 This is the best Match 3 game I have played in a very long time. It is different from most others in that each level is different from the last. The goal of each level varies and the "power-ups" vary as well. Every few levels there is a special round of a challenging HOG (with hints available) with the reward being a new "power-up". Also there are puzzle levels where you must put together an "artifact" whose pieces you have found in a series of Match 3 boards. These puzzles do have a SKIP button . 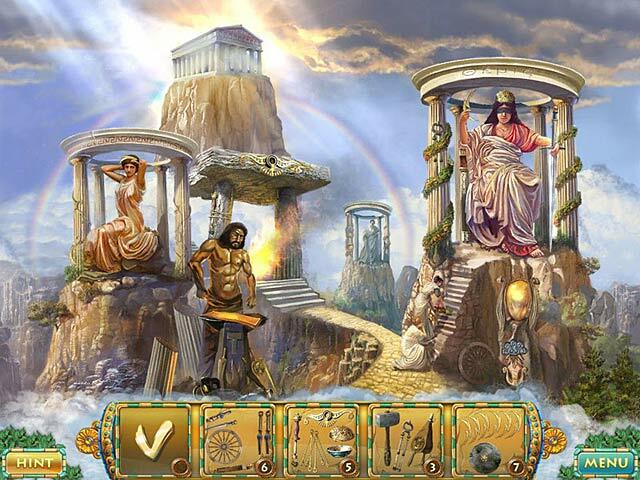 After each level you get to spend the gold earned by rebuilding Athens and learning interesting facts about Athens and the Greek Gods. The BEST part is that you can play this timed or untimed and it is a very nice LONG game. There are lots of great explosions and surprises during each Match 3 board. Oh yes, there are rewards to get for various achievements and when you finish saving Athens you can continue to play in "Palace mode". My only complaint is that the game tends to quit suddenly during this Palace Mode. I haven't written a review of a game in a long time, but this one is so well done and so engaging I just had to let folks know that it is worth trying and then buying! Hope you enjoy it as much as I do! Rated 5 out of 5 by pajutie from Excellent-more of the same please!!! Awesome Match 3 game! It has everything....good sound effects, excellent game play, slowly builds as you earn more power ups, and extra gameplay bonus on finishing the game. One of the Classic Match 3's for sure. This was my first kick at the can for the Hellas series and if the other 2 had offered an untimed mode I'd have purchased them as well. More of the same please-Match 3's and Picross. Rebuild Athens from the ashes of its destruction in Heroes of Hellas 3: Athens! 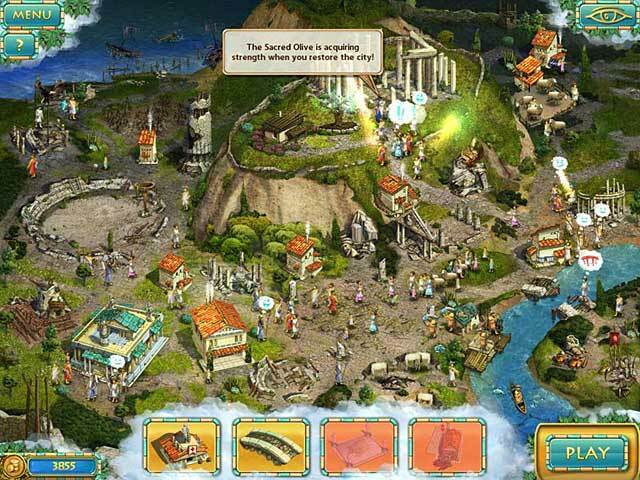 Secure the help of the Heroes of Olympus!